If you’ve never heard of Eugene Boudin (1824-1898), you’re forgiven. Even Boudin, at the end of his life, recognized rather poignantly that he was destined to be a footnote in the history of modern art. Yet Boudin does not deserve to be forgotten. Not only was he a source of influence and inspiration for the Impressionists, many of whom he knew and encouraged, but he was a delightful artist in his own right. Boudin was born in Honfleur, France, and grew up in nearby Le Havre. Although he traveled to paint in Paris and Italy during his career, he returned to the area of his birth frequently; the maritime scenes of Normandy were a lifelong inspiration. 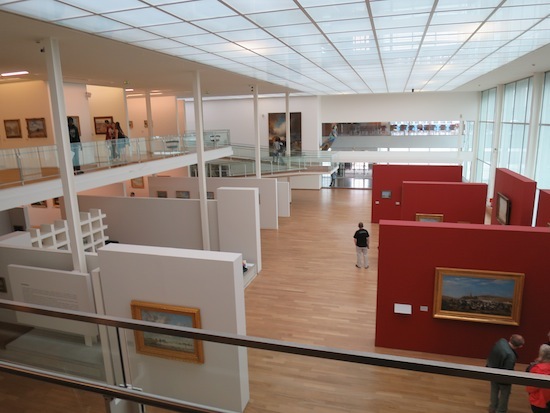 Now the Andre Malraux Museum of Modern Art (MuMa) in Le Havre has mounted the first retrospective of Boudin’s works since 1906 and by far the largest, comprising as it does well over 300 works. A well-conceived guide to the exhibition (available in English as well as French) allows the visitor to follow his development. He began as a largely self-taught artist, but attracted the interest of established painters who encouraged him. The town of Le Havre gave him a scholarship to learn his craft by copying Old Masters in the Louvre; as part of his tuition he had to send the city one completed copy a year. When he married, he spent time with his in-laws in Finnesterre in Brittany where he was fascinated by the austere landscape and sombre Breton interiors. There he produced a series of dark and evocative canvases. But his first love was the seashore of his native Normandy, whose beaches, harbors, and sailing vessels provided a lifetime of subjects and inspiration. 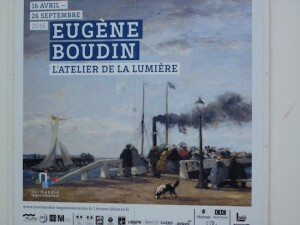 And of course light was a never-ending source of fascination for Boudin. Inspired by the Barbizon School he developed a penchant for painting outdoors, en plein aire in the French phrase, and became one of the pioneers of the method. Later in his career he created study after study, quick, impressionistic sketches in paint, often used by artists as a sort of rough draft for finished works to be completed later in the studio. But Boudin seldom took the subsequent steps, a tendency for which he expressed some regret as artists were “supposed” to produce finished works. And yet, by working his way, he anticipated the more informal “impressionistic” style that became Impressionism. His studies of clouds in particular are in essence proto-abstracts and quite lovely. 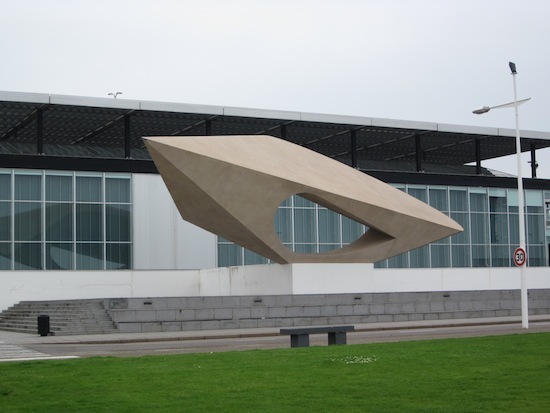 It may not be worth taking a detour to catch this exhibition unless you have a special interest in this little corner of the history of modern art, but if your travels take you to Le Havre it would be a shame to miss it. L’Atelier de La Lumiere offers a rare chance to survey an artist’s entire career (and Boudin was nothing if not prolific) and gain a deeper understanding of the wellsprings of one of the major artistic movements of the late nineteenth century. L’Atelier de La Lumiere runs through September 26, 2016.